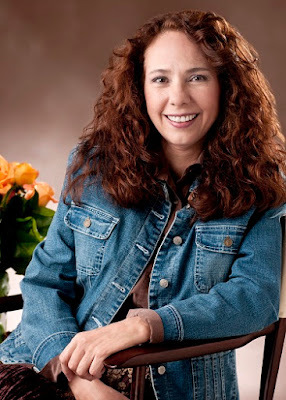 Audra Jennings: Is Anita Higman's book on your Summer Reading List? 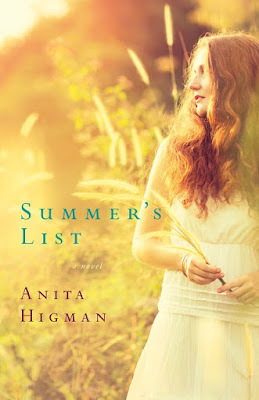 Is Anita Higman's book on your Summer Reading List? Life hasn’t been easy for Summer Snow. She spent what should have been her carefree 20s selflessly caring for her ailing parents and denied herself the dreams in her heart to run her grandmother's bookstore. And if you asked her, she would say she’s mostly happy — but she knows she’s missing something — and her grandmother’s love doesn’t fill that aching part of her heart that longs for love and romance. Q: In three sentences or less, tell us about your new book. A young woman, Summer Snow is sent on an unexpected adventure with Martin Langtree, a kind but gangly young man from Summer's past. A childhood friendship is rekindled, a romance is sparked and mysteries are solved in one magical Texas summer. Q: What is the main theme that runs through Summer’s List? Forgiveness and reconciliation do not come naturally to mankind, but it’s the only right way to live. It’s the way Christ taught us to live. Q: What was the inspiration behind the story? My answer isn’t romantic. It’s not literary sounding in any way. It’s the kind of answer that lets you see behind the curtain. I hope it doesn’t spoil any of the magic for you, but here’s my answer. It’s always been easy for me to create quirky characters but not so easy to create conflict that can keep going for 80,000 words. So I thought if a heroine had a list of things she was compelled to do — and the list was challenging and fun, with surprises along the way — that this concept could create enough plot and conflict to get me through to the end of a book. I’ll let you decide if my idea worked or not! Q: Your heroine, Summer Snow, is used to putting others’ interests before her own. We are taught to serve others, but is there a point when selflessness can become damaging? Yes. It could be that Summer’s parents should have insisted she at least attend a local college so she could prepare for her future while she was watching over them. Even loving parents can make selfish decisions at times. Q: Can you identify with Summer’s search for love? Yes, before I met my husband I was sort of lost in love like Summer. But I was fortunate enough to find my husband without a life-list. Q: Why do you think the number of people delaying marriage into their 30s and even beyond is growing? I don’t know for sure, but my guess is they are frightened of commitment. The reason may be because the divorce rate has some pretty scary statistics attached to it. For some men and women, maybe it feels hopeless for a marriage to last a lifetime. But it is possible. My husband and I have been married 35 years. We don’t have a perfect marriage, but we’re committed to each other, and we love each other. If we were to fall out of love someday, I know our commitment would keep us safe until we could fall in love all over again. My advice is to love freely, forgive easily and invite God to be ever-present in your marriage. Q: What expectations and social pressures are put upon single women in the church? Perhaps they feel if they can’t find Mr. Right, then they are somehow second-class women. That is, of course, not true. But people in the church need to be sensitive to those who do not marry. We should never exclude them or make them feel they are somehow unacceptable or unlovable if they remain single. Q: Can it be dangerous for women to believe in the notion of a “soul mate” or one single person whom God has for you to find and marry? Yes, I suppose it could be a dangerous mindset because when you get bored or angry with your spouse — which is very common in most marriages — then it’s easy to think you’ve made a grave error in your choice and someone else was your true destiny and would make you happier. That kind of faulty thinking is an effective way to dismantle a marriage. Q: What is the best advice you have for someone who truly longs for marriage? Tell God the desires of your heart. He cares deeply for us. But in my opinion, it wouldn’t be wrong to consider using a good Christian dating service. I know of a woman right now who is living her happily-ever-after because of one of these services. Q: Summer’s story is unique, as she completes the “bucket list” her Grandmother made for her. What are some other ways single women can connect with their purpose in life, despite their disappointments? Make a list of all the talents God has given you, and then go about using them for His glory. You’ll find satisfaction and purpose in doing what you were created to do. Q: Have you ever made a bucket list? How did it change your life? I’ve not made a bucket list, but my husband and I have made a list of places we’d like to travel to before we journey to heaven. Some places left on that list are Israel, Greece and Norway. Can’t wait! Q: Why do God’s plans for our lives often look so very different than our own? Because we see through a glass darkly while we’re here on earth. If we could see more as God does, we would have different plans. They would come closer to lining up with His ways, and there would be much less turmoil and disappointment. Q: Summer manages a children’s bookshop. Was there someone in your childhood who helped instill in you a love for literature? My mother read fairytales to me when I was a little girl. Those stories had a profound effect on me. People have told me my novels read a little like modern fairytales. My husband and I are about to break ground on our retirement home. Can you guess what it is? It’s a fairytale house in the woods. Stories stay with us for a lifetime! Q: You are, in fact, very enthusiastic about promoting literacy and have even won awards for your efforts in that arena. Why is that such an important cause for you? If people can’t read, I’m out of business. But beyond that reasoning, I always hope all people are able to read and know the power of words. Imagine going a lifetime without reading Oliver Twist or Pride and Prejudice or the Bible! Q: What is the number-one message you want your readers to receive from Summer’s List? My brand is “Stories with a soft landing because life is hard.” I hope readers finish all my books with a lighter heart and a sense of joy and hope.